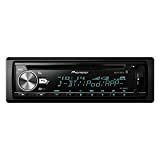 Apr 09, 2017: An aftermarket stereo with usable buttons? May 07, 2017: New Setup? Feb 03, 2019: First time doing a big car project, I believe I've done my due research. Can someone look at my final buy-list and let me know if I'm good?